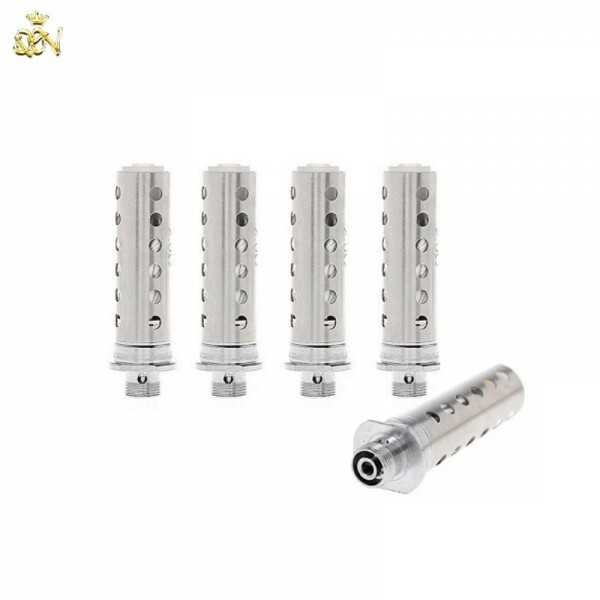 Innokin Endura T18 Coils now come in either 1.5 ohmJust like the ones that come with other Innokin Tanks, these replacement coils include Japanese organic cotton. They can be replaced in a matter of seconds and without a hassle. To change the burnt out coils, open the top, remove the old coil and replace it with the new one. Close the base and the tank is ready for vaping again. Depending on whether you're light, moderate or heavy vaper, one coil will last from 1 to 3 weeks. This means that a 5-pack of replacement coils is sufficient for approximately 1 to 2 months of vaping. You will know when it's time to unpack a new coil when your tank will stop producing vapour and/or E-Liquid will start to taste differently - less delicious.